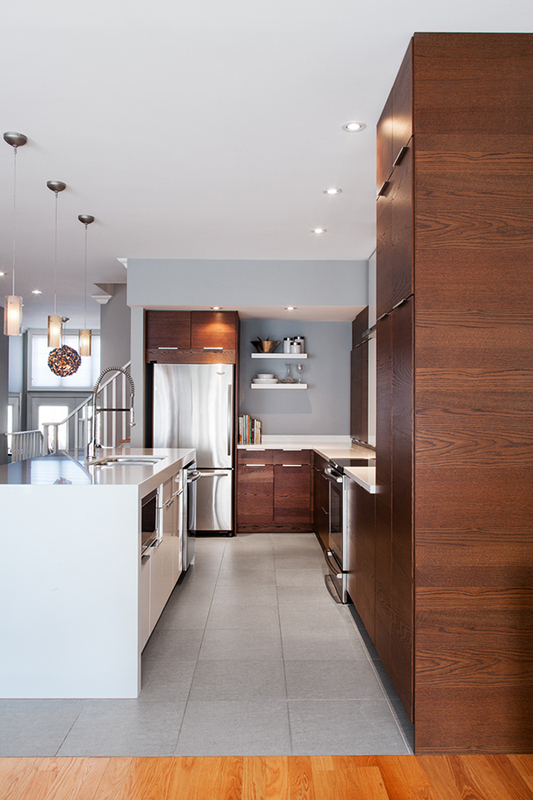 A single family detached dwelling located in a trendy Beach neighborhood of Toronto, Ontario, Canada was re-imagined to have a more beautiful aura. 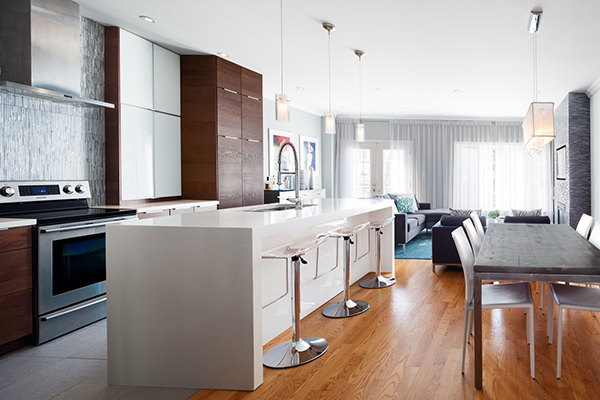 It has a transitional style open plan design comprised of beautiful new furnishings, artwork, accessories and lighting. The interior has a harmonious atmosphere. Some pieces in the interior were custom designed to fit into the theme and design preference of the owner. The bedroom is dreamy escape that is reminiscent of boutique hotels. 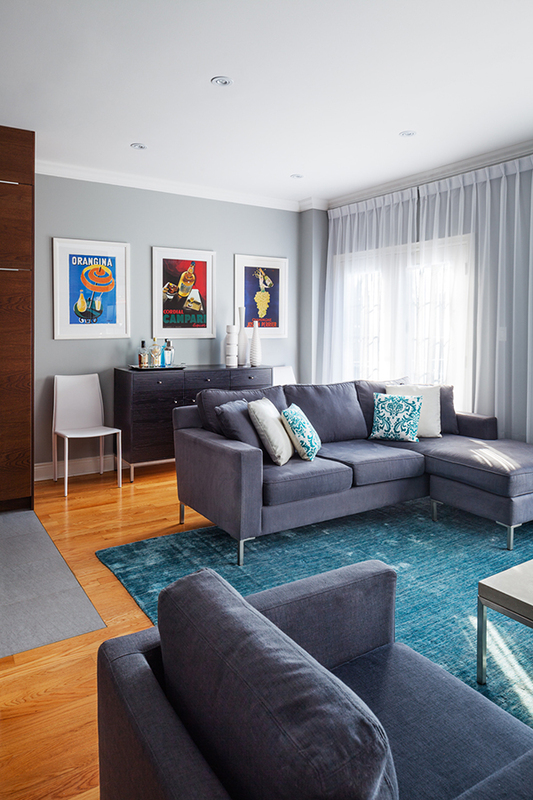 Every space in the house has its own color palette with “splashes of bold colors to jazz up bright, sunny rooms”. There is also a nursery that is bright and clean comprised of white furnishings within its lavender walls. There is also an office and library in one charmed with purple chairs. The interior has a design with clean lines and bright ambiance. Come let us take a look at it. The interior looks very relaxing especially because of its color scheme. 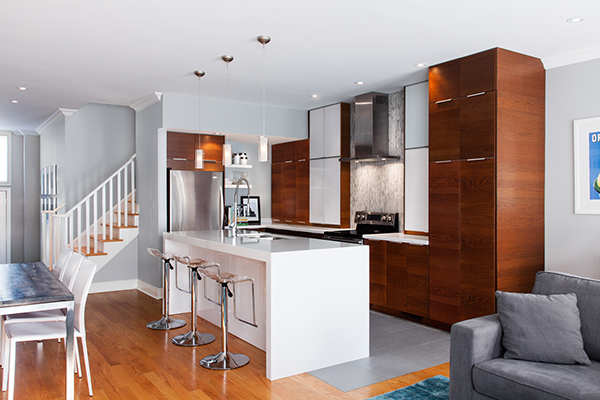 The kitchen has wooden modular cabinet system and white kitchen island. The look of wood and the floor tiles are perfect with added lightings. 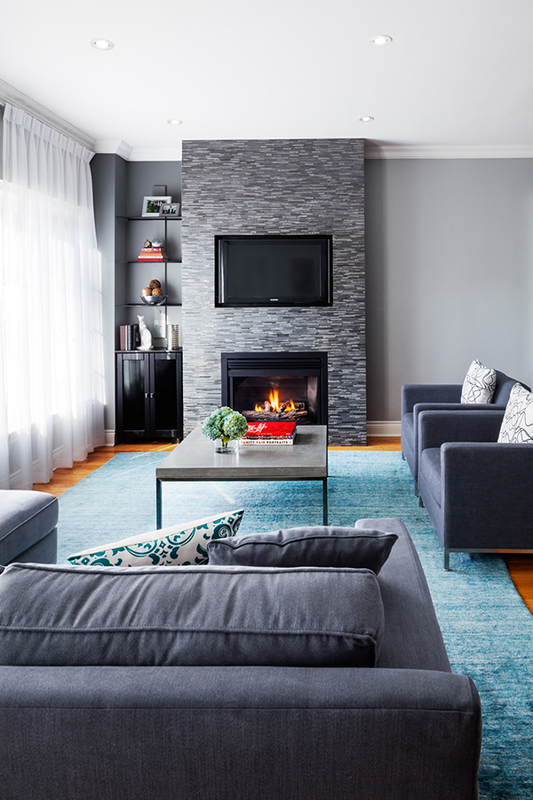 This fireplace is the highlight of the living space with cool blue colors. You can also see some decors as well as patterns from the throws. The dining area looks luxurious because of the lighting fixture as well as the mirrors on the wall. 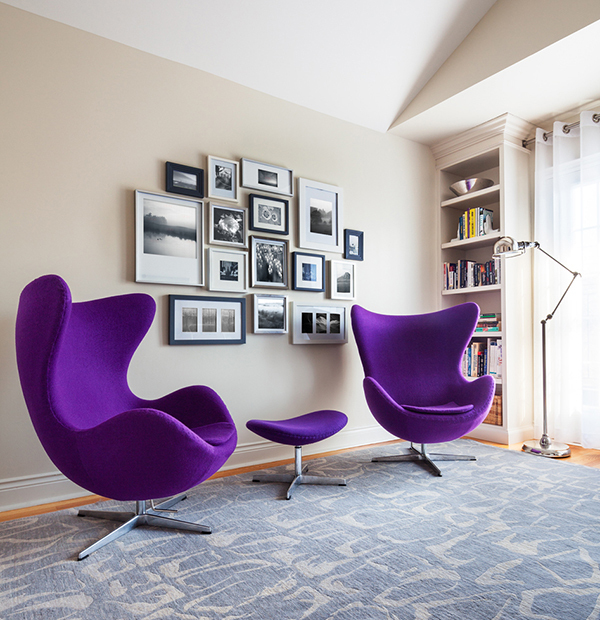 This pair of bright purple chairs is comfy to curl into in this library. 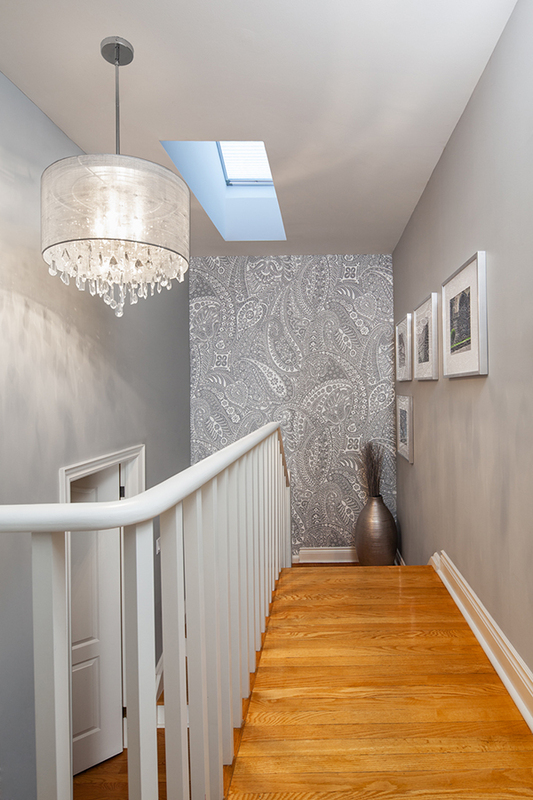 Paisley patterns cover a wall as it leads you to the upper level. 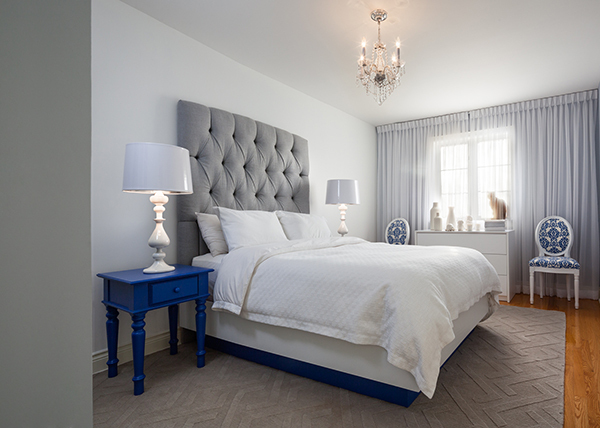 The bedroom is a pretty space in blue and gray. It has drapes similar to the ones we saw in the living room. A contemporary scheme with neutral hues was incorporated into the nursery so that it will last as the child gets older. Teal carpet and lavender walls look perfect together! 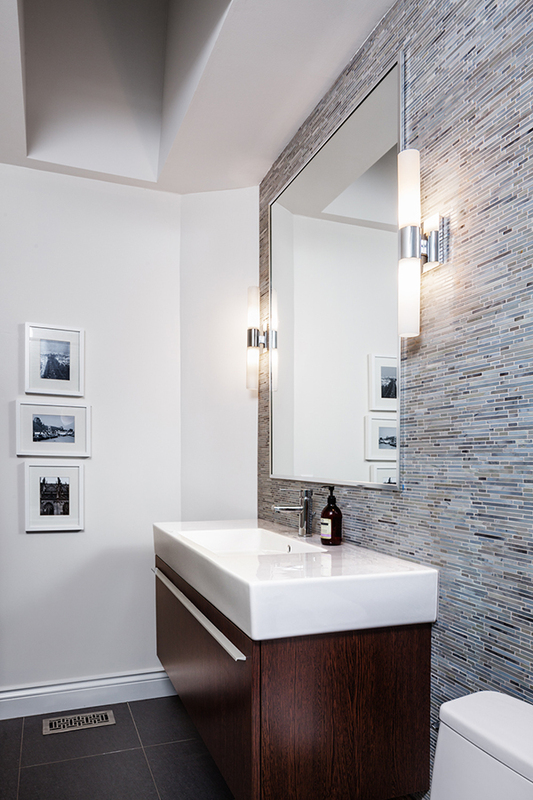 And this is the bathroom with a contemporary design. Lovely home, isn’t it? It sure is! What I love the most are the bedrooms as well as the nursery since they were able to create a totally different mood on each of these private abodes. This home is designed by Rad Design and totally nailed it! This sure is proven with the images we can see above.